Kate van Aphen submitted this polymer painting for a recent virtual paintout (VPO). “What’s that,” you ask? It’s a virtual painting trip. The theme and location are chosen and the artists travel via Google Street View to find a scene they like and screencapture it. Kentucky’s Bill Guffey started the clever exercise when he wanted to paint outdoors but could only paint at home at night. Kate is from South Africa and now lives in England. She has a background in computer arts and was drawn to polymer by its tactile nature and vivid colors. 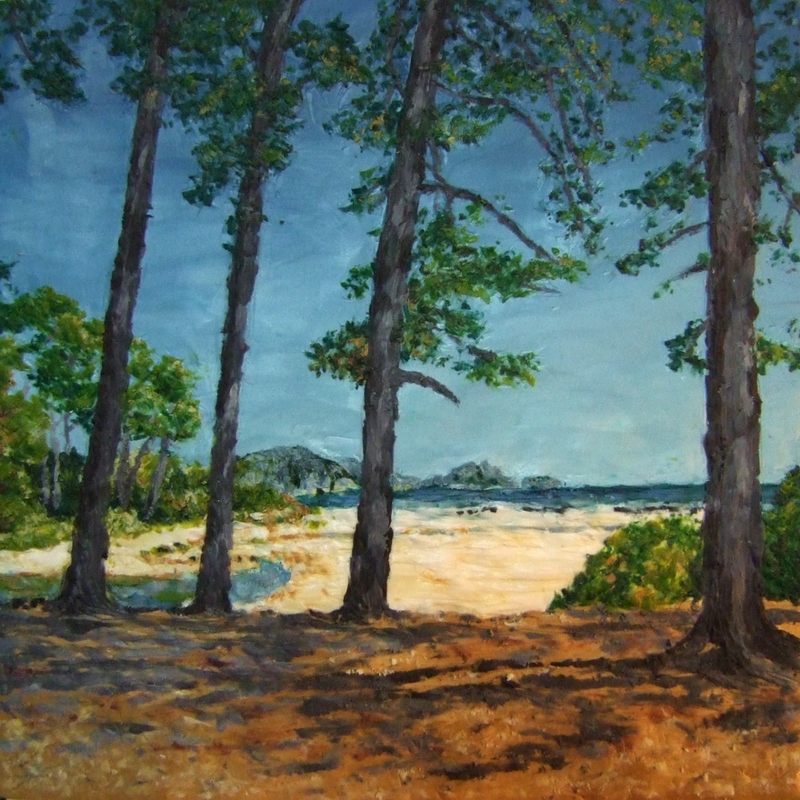 Her Sisters Beach, Tasmania polymer painting is 10cm x 10cm and is drawn from a Google view. Pittsburgh’s Rebecca Watkins participates in VPOs when she can and she sent Kate’s link along. Thanks Cynthia for all the inspiration on this site – I look forward to every post. Polymer painting? Wow, I’ve never heard of that. I shall have to look into it. 😀 Till I found this blog, I didn’t know that there were SO many ways to use polymer clay!